From Goodreads: For over a decade, Jenna Metcalf obsesses on her vanished mom Alice. Jenna searches online, rereads journals of the scientist who studied grief among elephants. Two unlikely allies are Serenity Jones, psychic for missing people who doubts her gift, and Virgil Stanhope, jaded PI who originally investigated cases of Alice and her colleague. Hard questions and answers. 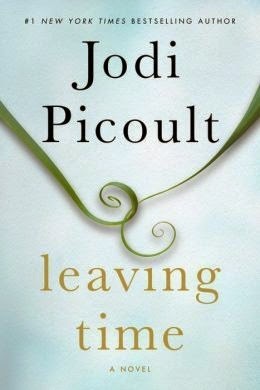 Thoughts: With this book, Picoult continues to win back my trust. 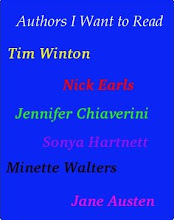 I think it's hard for prolific authors to not become formulaic. For a long time Picoult managed it, but it had started t creep in. Her last book The Storyteller let me know she was able to break away from it. Leaving Time is a good read. People who don't like the book are drawing comparisons between it and a well known movie (which I won't name as it will give away too much about the book) and I can see where those comparisons come from. However I see it more as a variation on a theme and if she has drawn inspiration from the movie, she has made the story her own. I am pleased that Picoult seems to be moving away from what I call her mother issues, for which I am eternally grateful, as this was becoming my biggest sticking point with her writing. For me though, Picoult has a solid writing style and a great storytelling ability. I love that her books make me think without taxing my brain too much. As before, I will continue to watch out for new books from her and read them safe in the knowledge that I will most probably enjoy it. Leaving time gets 3 stars.